The best vehicle we have ever owned is a Volkswagen Westfalia. We pine for our old Westy like Keith Richards pines for smack...but always wanting to up our game we thinks the above is an aptly named replacement for the long gone Westy. 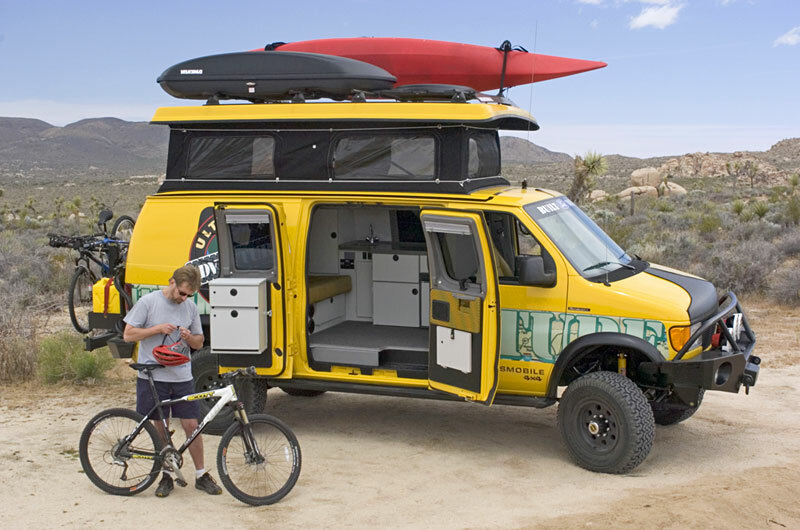 Fully equipped for every comfort-in-the-backcountry contingency, the Sportsmobile Ultimate Adventure Vehicle is not you grandparents mobile home, never to be parked in a RV park. FYI...the cheesy graphics on the side of the rig are promotional only...they come in assortment of nice finishes that don't look like your handing out samples of Juicy Fruit. You can see and learn more here.